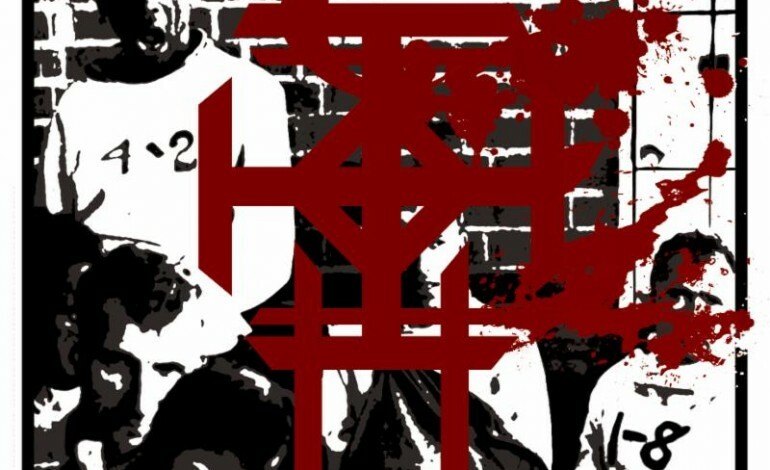 Know How to Carry a Whip is the fourth album by Corrections House, an odd supergroup that draws members from all corners of underground metal, with interesting results. The project features Eyehategod frontman Mike IX Williams on vocals, Scott Kelly of Neurosis on guitar, Bruce Lamont of Yakuza on saxophone and Sanford Parker of Nachtmystium providing keyboards, electronics and drum programming. Perhaps the project’s strangest feature is their use of electronic drums, the mechanical nature of which presents an especial contrast with Mike William’s previous work. Eyehategod is a band known for their loose, organic sense of timing (influenced by New Orleans groups like The Meters), which is anything but metronomic. The programmed percussion gives the project an industrial feel, which tends to work best on during the album’s slower, doomier moments, where more room is given to the guitar, vocals and saxophone to lend an organic side to the project and one is allowed more space to appreciate some of the sound design. On tracks like “Superglued Tooth,” Parker does a good job of giving the glitchy percussion a loose and organic feel, using spastic, noisy high hat sequences to build into sporadic bass drum and snare hits. On the faster tracks the drums often have a strangely clublike feel. This is evident on songs such as “White Man’s Gonna Lose,” which sounds almost like a dark, distorted version of a European dance mix. The album is generally divided up between these two types of songs, the notable exception being “Visions Divide,” a creepy, western influenced tune, which provides a welcome moment to breath between heavy industrial tracks, and is notable both for being the sole use of acoustic guitar, and of the saxophone in such a way that actually sounds like a saxophone. This track plays a crucial role in the overall arc of the record and ends up being one of its strongest. Both the guitar and saxophone play a similar role to each other on the other tracks, playing heavily distorted riffs that give context to both the industrial electronics and Williams’ screaming. Overall Know How to Carry a Whip has a lot of idiosyncrasies that are likely to polarize the listener, but is well worth checking out, even if it’s for no other reason than its novelty. The biggest hurdle the album has to face is the inherent cheesiness of the industrial genre, some of which is also present in the more spoken word styled moments of Williams’ vocals, but if the listener can accept this it makes for an enjoyable listen. Also worth mentioning is the way the album is mixed, featuring heavy use of distortion and highly compressed percussion, which makes the record sound nicely full, loud and dirty, a trait that is crucial to allowing the album’s somewhat strange concept to come across as well as it does.